Nominations for the 2018 Emmys were announced Thursday morning. Games of Thrones dominates with a staggering 22 nods and is up for outstanding drama alongside The Americans, The Crown, Stranger Things, This Is Us, Westworld, and last year’s winner, The Handmaid’s Tale. Once again, Donald Glover’s Atlanta came in strong with 16 nominations, including nods for outstanding comedy series and outstanding lead actor in a comedy series for Glover himself. The Atlanta creator won big last year, taking home statues for outstanding lead actor and director in the comedy categories. 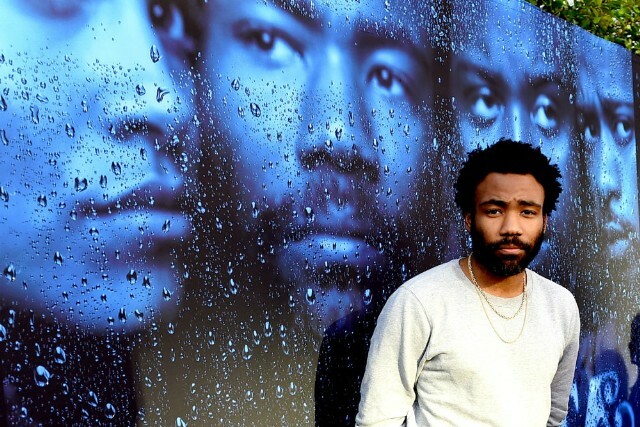 This time around, Glover competes against himself in the director category: He’s nominated for both Atlanta’s “FUBU” and groundbreaking “Teddy Perkins” episodes. Other outstanding comedy contenders include Curb Your Enthusiasm, Black-ish, Glow, The Marvelous Mrs. Maisel, Silicon Valley, Unbreakable Kimmy Schmidt, and Bill Hader’s quirky, dark hitman comedy Barry. Westworld’s Ed Harris, Thandie Newton and Jeffrey Wright are nominated for the outstanding lead actor/actress in a drama series—impressive considering how few people who actually like the show have any idea what’s going on. The Americans’ Matthew Rhys and Keri Russell are up for the outstanding lead drama award, and it would be quite a coup if the real-life couple walked away with statues to make up for how underappreciated the FX period spy drama was during its six-season run. The great Sandra Oh makes history as the first actress of Asian descent nominated for outstanding female lead in a drama for Killing Eve. The late Anthony Bourdain’s CNN documentary series Parts Unknown picked up six nominations, including a nod for best short-form nonfiction or reality series. Hader faces some stiff competition for outstanding actor in a comedy series, including reigning champ Glover, The Good Place’s Ted Danson, Curb Your Enthusiasm’s Larry David, Blackish’s Anthony Anderson, and Shameless’s William H. Macy. Outstanding lead actress in a comedy juggernaut Julia Louis-Dreyfus is out of contention this year, clearing the way for a new winner from a stacked slate of nominees including Better Things’s Pamela Adlon, Mom’s Allison Janney, Grace and Frankie’s Lily Tomlin, Insecure’s Issa Rae, and Blackish’s Tracee Ellis Ross. Twin Peaks: The Return was snubbed in all the major categories, leaving Laura Dern’s arresting, heart-breaking, and sometimes hilarious performance as Agent Cooper’s long-fabled secretary Diane overlooked. Also, lead actor Kyle MacLachlan was once again the victim of a wholesale robbery. It wasn’t a total wash, as David Lynch earned a directing nod for the devastating “Episode 8,” and both Lynch and co-creator Mark Frost earned writing nominations. The full 2018 Emmys nominations list can be seen here. Did You Know That Everyone on Game of Thrones Needs to Unify Against the Army of the Dead?